Now that disgraced ECOT is politically toxic, various politicians want to the credit for its demise. The State Auditor has filed a motion to intervene in the Lake Erie West lawsuit which requested the court to appoint a receiver to manage the closing of the ECOT operation. The State Auditor’s angle in failing to intervene is that he wants the guarantee of access to data but in a way that addresses confidential student records and information protected by attorney-client privilege. The reality of who-gets-the-credit question is that state officials should get NO credit. 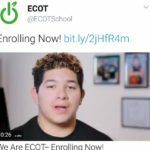 Public school advocates, whistleblowers, and the media exposed ECOT. State officials got involved after it became apparent that they would be held accountable for not getting involved.